To create this card, I pulled the PRECOLORED image into my Silhouette Designer software and traced the image to create a cut outline. I then used the print and cut feature. Because it was impossible to get all the items on the ground around the pumpkin, I left those out out. I then printed the sentiment on white card stock and used a punch by Stampin' Up! to punch the shape. I distressed the sentiment with Pumpkin Pie ink, also by Stampin' Up! and black ink around the edges to give it a little frame. To get the moon, I punched a 1" circle and used it as a mask and inked the moon with Barely Banana ink. I then took the cut circle and using removable tape, placed it over the moon and distressed the entire layer with Going Gray ink. The fence, tree and witch are all cut files from Silhouette's online store. I cut the fence with gray card stock and distressed it with black ink. I cut the tree with brown card stock and also distressed it with black ink and the witch was cut with black card stock. The bat is a small punch I have in my stash. The white card stock was attached to a black card stock base and all items were adhered to the card. This is a dimensional card, although the picture doesn't really show you that. Susan I love your Halloween card and I have to say I am feeling twinges of envy not having a Silhouette. I have a Cricut Expression, but find it lacking. Very expensive cartridges, so mine is more of a dust collector more than anything. Your layout for the card is wonderful as are all the other elements. Nicely done. Spooktacular! Love the background and all the fun accents you used to showcase Pumpkin Carving Ants. Fabulous, awesome and wonderful. I'm going to soooo case this one. I truly love love love this scene and the way the pumpkin is larger than proportion to really jump out at me. FAB!!!!!!!! I love your Halloween scene! And those ant just fit right in! Sucha fun card! Super Cute Halloween Card. Thanks for joining us in the Drunken Stampers Lounge this week... I look forward to seeing more of your work! I love all the details on this card! The witch, the ants, the sentiment are just perfect. Thanks for joining us at Drunken Stampers! Cheers! Susan, I love your Halloween card! Great placement of your sentiment up in the tree. Thanks so much for joining us at Just Us Girls! Susan, Your Halloween card is remarkable! That fence is Perfect!!! !So glad you joined us this week over at Just Us Girls! What a fun card, perfect for halloween! Thanks so much for playing along in my "seasons" word play saturday challenge at my creative moments. Great card and perfect for our challenge. THIS is fun, fun, pumpkin perfectly spiced kind of fun! GREAT job! Thanks for joining the fun at Just Us Girls! 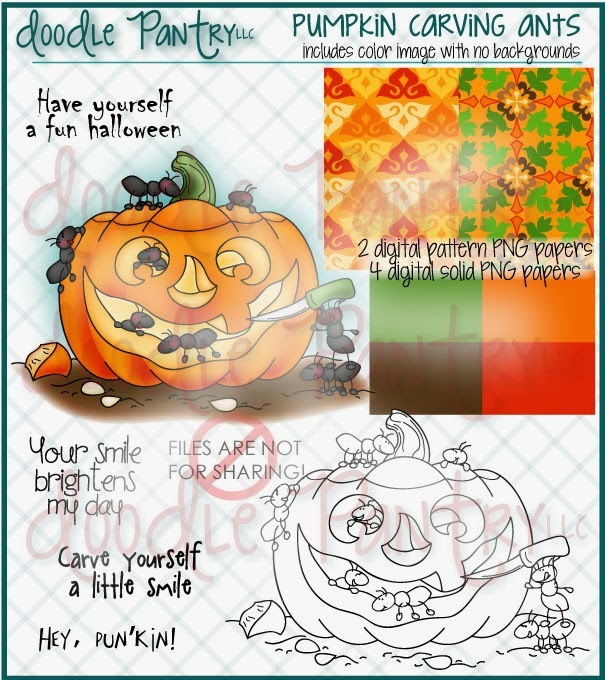 Oh so cute, love the wonderful Halloween scene you created here, especially like that great looking spooky tree! A wonderful backdrop for the pumpkin ants image! Delightful card!! 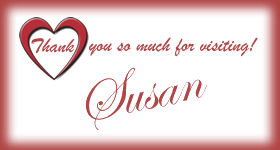 Susan, Such a wonderful card. Love the witch flying by on her broom and that spooky tree. Great colors. 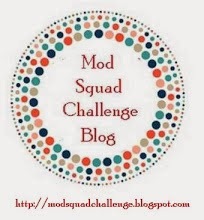 Now that I am back blogging a little more regular, I'll be visiting more of the craft friends I like to follow. Still trying to finish up my Hallows Eve creations for the kiddos who come a trick r treat. We don't get many but, they sure are cute and scary little munchkins. Have a Wonderful Fall and a Fun Halloween. 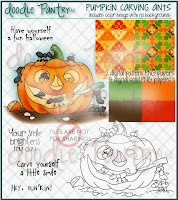 Fabulous Halloween card, totally love the design!